When it comes to social media, logos help viewers remember and associate the content with your brand. The logo can tell people where to get more information or more similar content. Plus, visual consistency across posts make your videos look more polished and professional. Whether you’re a company, social media influencer, event promoter, or organization, logos – a static visual element on a moving background – can help you spread brand recognition. In this tutorial, I’ll show you how to add a logo to your video using a free website called Kapwing. 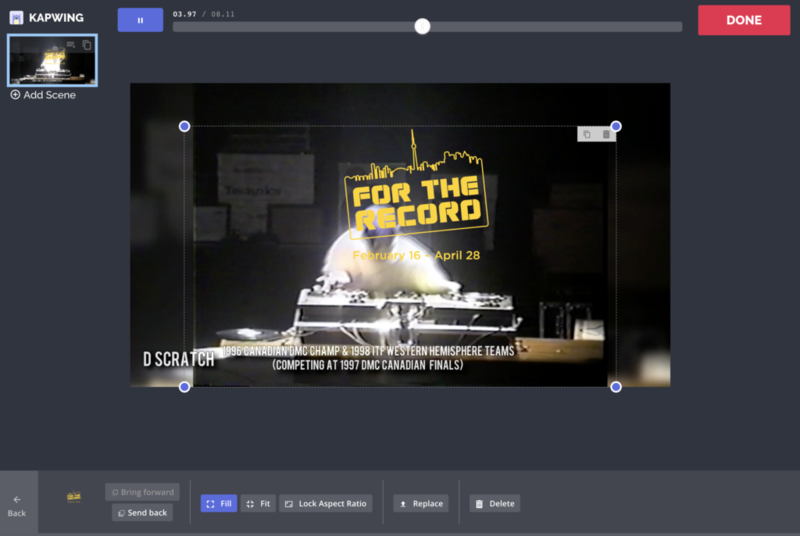 Kapwing’s Studio has a simple, drag-and-drop UI for inserting a logo into your MP4. Kapwing permanently adds your logo to the video file so that it’s there anytime the video is shared/reposted. Click “Get Started” and upload the video you want to add your logo to. If your video is already online (like on YouTube or Vimeo), you can import it directly by pasting the URL. Alternatively, you can start with one of the logo templates (for the top and bottom corner) on the landing page then replace the video placeholder with your own. After your video loads into the Studio, you can resize it to fit the platform you’re publishing to. Click the “Resize” to change the aspect ratio to 9:16, 16:9, 1:1, 5:4, or 4:5 for Stories, YouTube, Instagram, Twitter, Facebook, etc. When your video has loaded on the screen, upload, copy/paste, or drag your PNG logo onto the screen. You can add as many images or stickers onto the video canvas as you’d like. If your brand already has a website, you can also search for your logo with the “Images” tool and import your logo directly. The best logos are those that are saved as a PNG file with a transparent background so that it covers as little video content as possible. If you don’t have that already, save your logo as a PNG file and remove the background color before uploading to Kapwing. Once you’ve imported a logo onto the canvas, use the sliders to make the logo smaller and position it on the right section of the video. Play the video to see how the logo will look at different times of the video as the background changes behind it. To make the overlay disappear after a certain amount of time, adjust the layer timing with the “Timeline” tool . Vanishing watermarks show off your brand without distracting from the main video. You can remove or duplicate the logo layer with the icons in the upper right corner. Watch the video fully to make sure your watermark doesn’t block any important content. Once your video preview looks correct, click the “CREATE” button to process your watermarked MP4. Kapwing will load your video in the cloud, then send the finalized video clip for downloading. You can share the URL or save the file to publish on social media. Every Kapwing video is also an editable template. If you want to watermark a different video or photo in the future using the same layout, you can click to edit your logo-ed video to replace the main content. Kapwing is free to use, but there will be a small Kapwing watermark in the corner of your video. 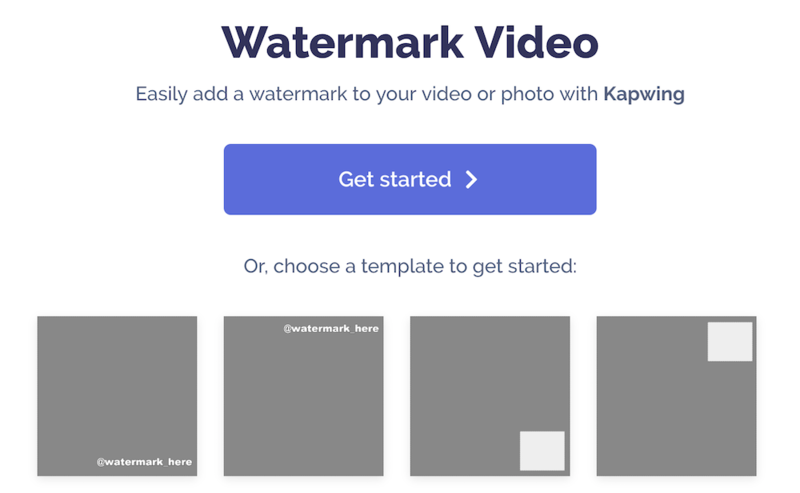 You can pay to remove the Kapwing watermark or you can subscribe for unlimited no-watermark access to all of Kapwing’s tools. That’s how you add a logo to your videos! We’re constantly trying to make helpful tools for creative professionals and small brands, so feel free to reach out with your questions and ideas for improvement.